Not damaging to anything so you can easily treat sensitive materials like leather, rubber, electronics, plastic, artwork, wet items, etc. Simple to use. Just plug them in and turn them on. That’s it. No chemicals, no filters, no oils, no masking agents, no fogging, no spraying, etc. Yep, it’s that simple. Extremely effective. Hydroxyls are the second strongest oxidant in the world behind atomic fluorine – far more effective than any other odor solution on the market. This means they will eliminate more odors and VOCs than ozone, chlorine dioxide, foggers, masking agents, oils, and all other chemicals. No residual odors left behind and no odors will come back. Once they are eliminated, it is permanent. Odorox® patented technology is able to replicate the creation of atmospheric hydroxyl radicals that are found outside on a sunny day. Hydroxyls have always been responsible for eliminating volatile organic compounds (VOCs) in nature, and thus, are often referred to as “nature’s broom”. Hydroxyls decompose inorganic and organic compounds both in the air (gasses and aerosols) and in surfaces; wherever they come in contact with the compounds. Odorox® is able to create these same hydroxyls by drawing air into the ultraviolet (UV) processing chamber of the machine where it uses both 185nm and 254nm UV wavelengths to convert humidity to hydroxyls. 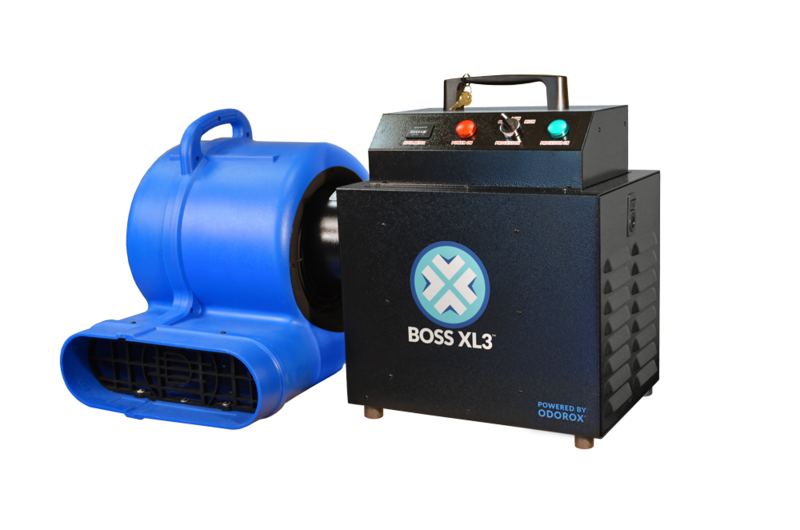 It is sometimes hard to understand how the Odorox® technology enables the treatment of odors outside the chamber of the machine and throughout the treatment area, including odors that have been absorbed in porous materials. Hydroxyls themselves have a very short life span of fractions of a second, so the obvious question is how can they travel and react with odors and VOCs far outside of the machine? The answer is the hydroxyls that react with molecules outside of the machine are not the same hydroxyls produced inside of the machine. New hydroxyls, and other radicals like oxy and peroxy radicals, are made outside of the machine through a series of complex chemical reactions; this process is referred to as the “cascade effect”. Further information regarding the Odorox® patent, independent testing, and white papers is available through our page dedicated to third-party research. Important testing includes a series of toxicology, physical chemistry, and ozone tests using industry leading third-party laboratories and experts, and is by far the most comprehensive on record with respect to this new technology.